Born as Timur Ildarovich Yunusov on the 15th August 1983, in Moscow, Russia, Timati is a singer, songwriter, record producer, actor and entrepreneur as well, and has released seven albums, including “Black Star” (2006), “The Boss” (2009), and “G.T.O” (2015), among others. Have you ever wondered how rich Timati is, as of late 2016? According to authoritative sources, it has been estimated that Timati`s net worth is as high as $20 million, an amount earned through his successful careers. Apart from being a successful hip-hop artist, Timati has also authored several books, and has designed his own clothing line, which has also improved his wealth. Timati is of mixed origin; his father, Ildar Yunusov is Tatar, while his mother, Simona Yunusova, is Jewish. Before his career began, Timati studied violin in school for four years, and then joined the YPS squad. 2004 was his breakout year, when he featured in the Russian television talent show called “Star Factory”, which propelled him into the music scene. He collaborated with the Russian band called Banda – in English “Gang” – and VIP 77, and then started working on his debut album, which came out in 2006 entitled “Black Star”. The album wasn`t quite as popular as he had hoped, but still he continued with his career, and in 2009 released his second album “The Boss”, which featured the likes of Busta Rhymes, Mario Winans, Xzibit and Snoop Dogg among others. The album produced hits like “Groove On”, which was quite popular across the Europe, in such countries as Belgium, Germany and Nederland, while the second single “Welcome to St. Tropez”, was remixed by DJ Antoine and featured Kalenna, and it achieved triple platinum status by International Federation of the Phonographic Industry, and platinum in Germany too. His net worth was growing. Timati`s name became quite popular over the world, which opened new doors for him, and brought his career to a whole new level. With the next album, Timati continued to collaborate with musicians of the rap and r’n’b scene, including Craig David, Timbaland, Eve, P. Diddy and Laurent Wolf, among many other. The album entitled “SWAGG” came out in 2012, receiving quite positive critiques, and its sales increased his net worth by a large margin. 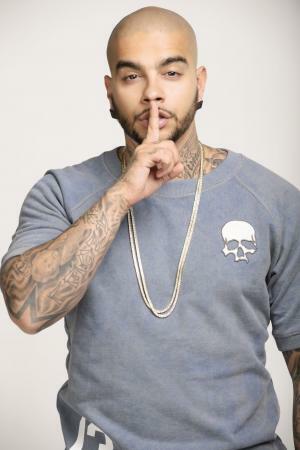 Since then, Timati has continued to produce music, and has released four more albums “13” (2013), “Audiokapsula” (2014), “G.T.O” (2015), and most recently “Olimp” (2016), all of which certainly added a considerable amount to his net worth. Apart from music, Timati branched out into numerous other industries; he has a clothing line called Black Star Wear marketed in his clothing store, and also a restaurant Black Stat Burger, and he has plans to open up a tattoo shop. Furthermore, he has started his own record label, Black Star. Regarding his personal life, Timati has a child with Russian model Alena Shishkova, who was his girlfriend for some time in the past; other details about his love life are unknown. On the other hand, Timati is a supercar collector; he owns a Lamborghini Aventador LP700, and Lamborghini Murcielago SV, while he also has Mercedes Benz SLR, and McLaren Stirling Moss edition that he often uses while in Monaco. 1 He was the front man of the Russian hip-hop band Banda. Premiya Muz-TV 2009 2009 TV Special lyrics: "Lazerboy" - as Timati / music: "Lazerboy" - as Timati / performer: "Groove On" - as Timati / writer: "Groove On"
Zhara 2006 lyrics: "Zhara", "Detka", "Black Star" / performer: "Zhara", "Detka", "Black Star"